Yes, I giggle every time I read these. 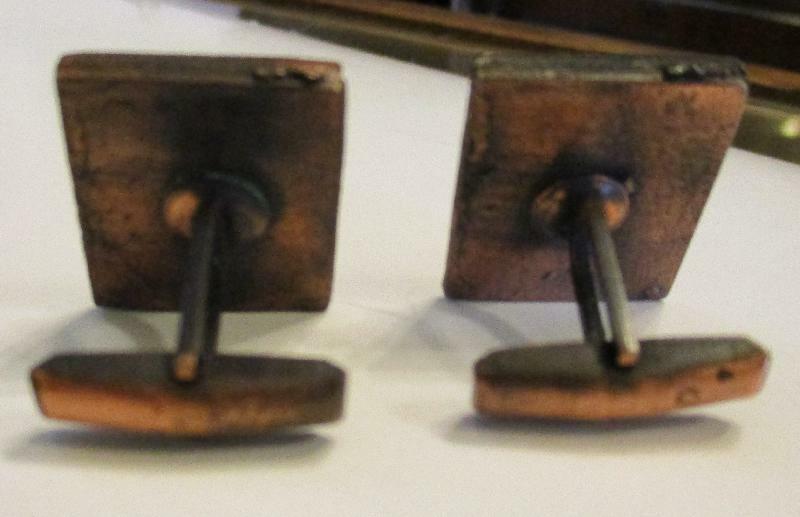 These coppertone cufflinks are perfect for the Renaissance Man in your life! The clasps are marked “Pat. Pend.” but there is no maker’s mark. The front features an exhausted jouster on his horse, both with their heads hung low, and the jouster’s lance is broken. 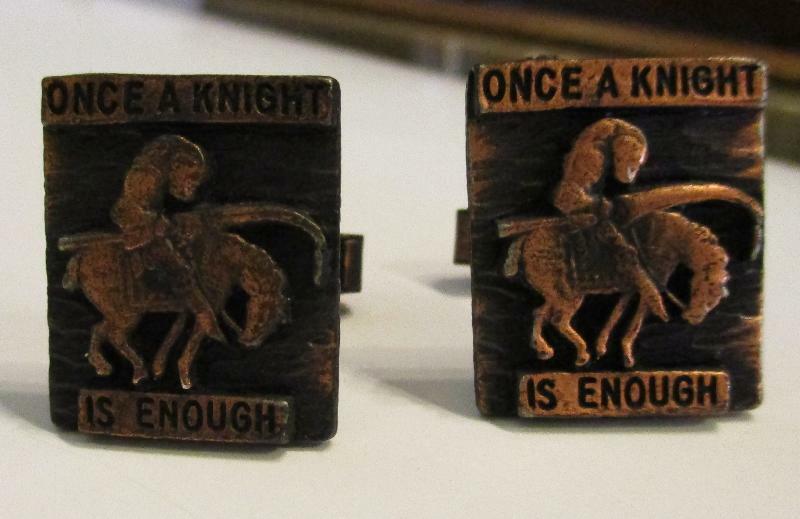 Across the top reads “Once a Knight” and along the bottom reads “Is Enough”. There are no bends, dings or deep scratches. Each on measures approx. 3/4W and 1H.